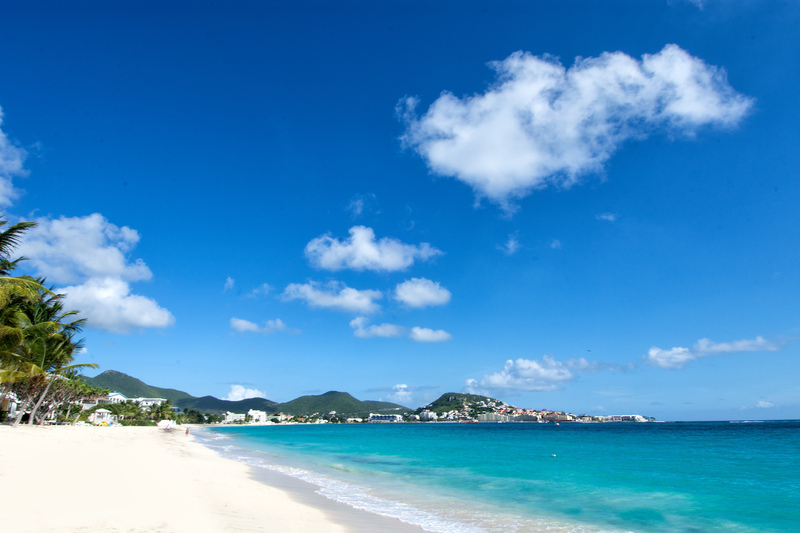 Your Caribbean vacation begins on one of the prettiest unspoiled beaches on all of St. Maarten / St. Martin. 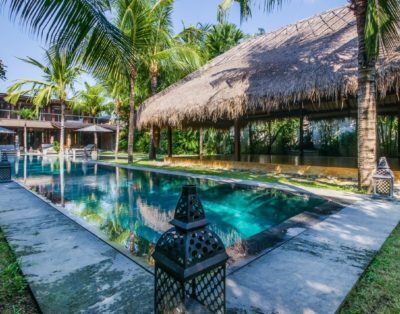 Quiet, calm, lined with sea grapes and palms… and no one to interrupt the peace and tranquility. 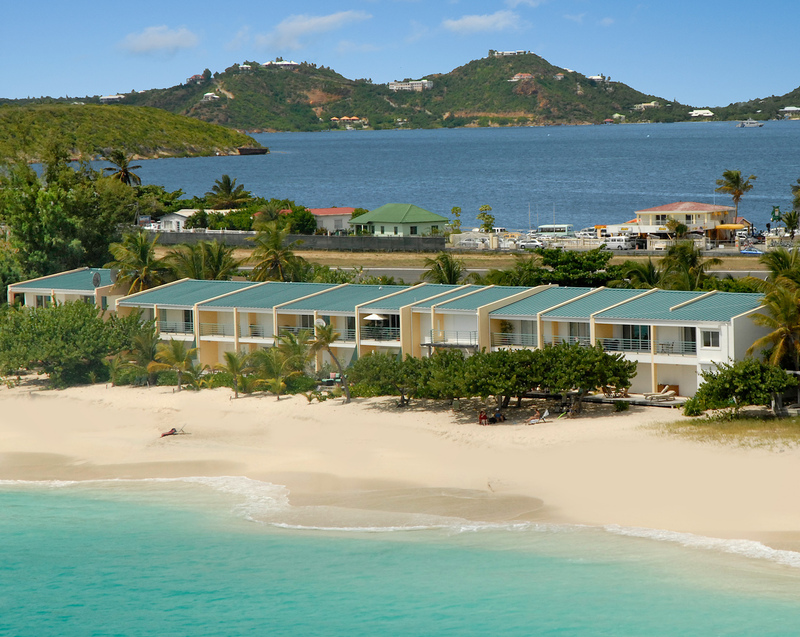 Sur Mer is situated on the southern end of Simpson Bay Beach, within the beachfront complex of Coco’s Beach Club. 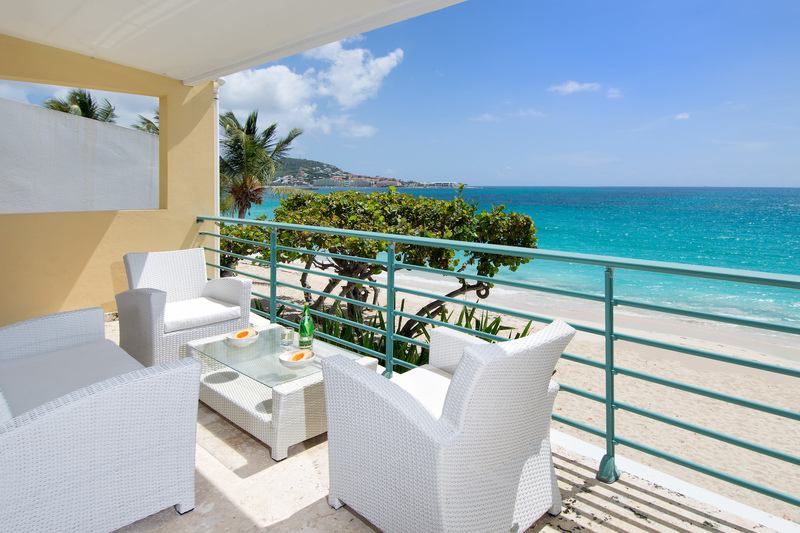 The intimate, small beach club consists of 15 units in 2 story-buildings. 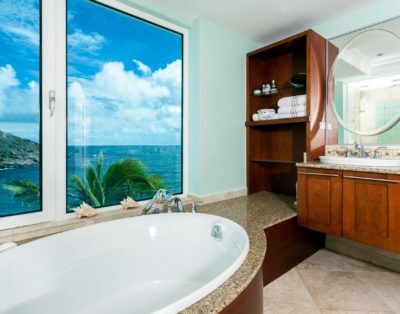 All units face the beach and offer mesmerizing views of the Caribbean Sea. 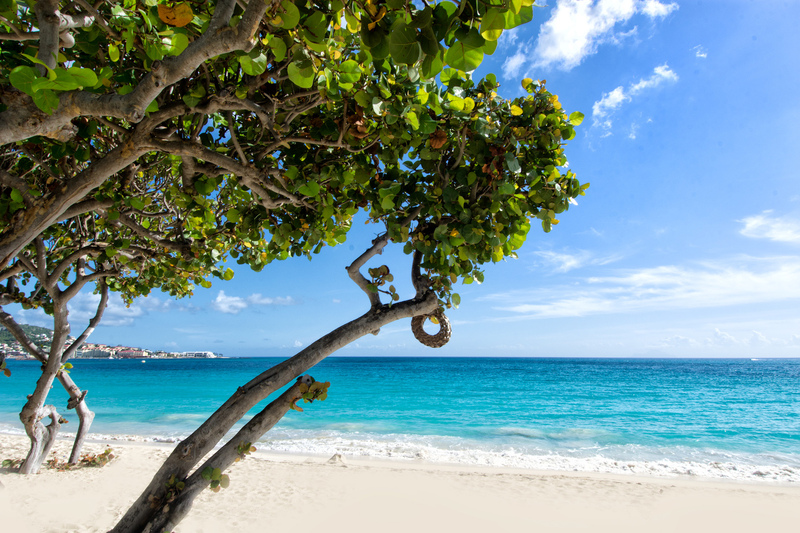 The pure sand beach is pristine; there is no “ledge” as you enter the sea. 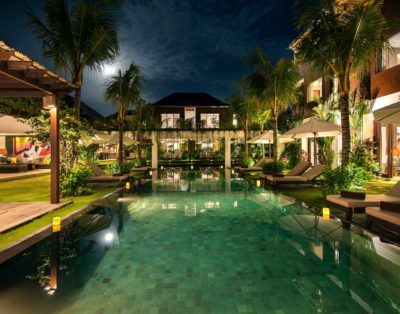 Lovely natural gardens enhanced with special lighting make the nights as beautiful as the days! 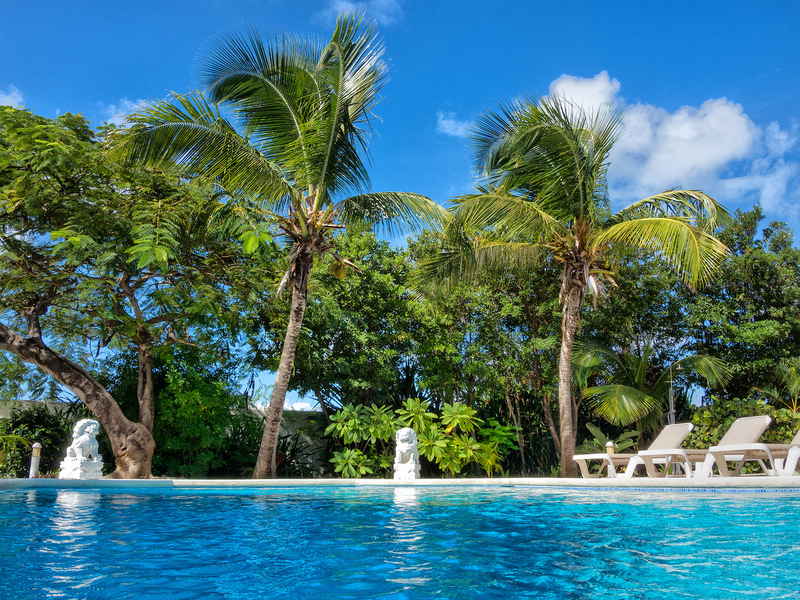 Coco’s Beach Club is intimate, quiet, and very unassuming. Originally this lovely spot was known as Le Chatelaine Hotel. 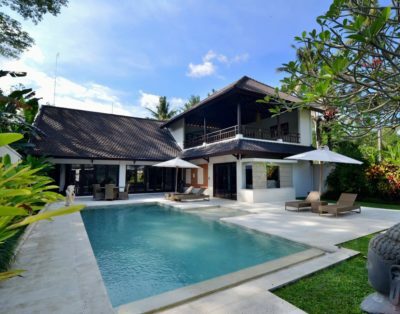 After many years it has been transformed into another lovely setting; quality workmanship and wonderful design to take advantage of the beach, sea, sun and sky. 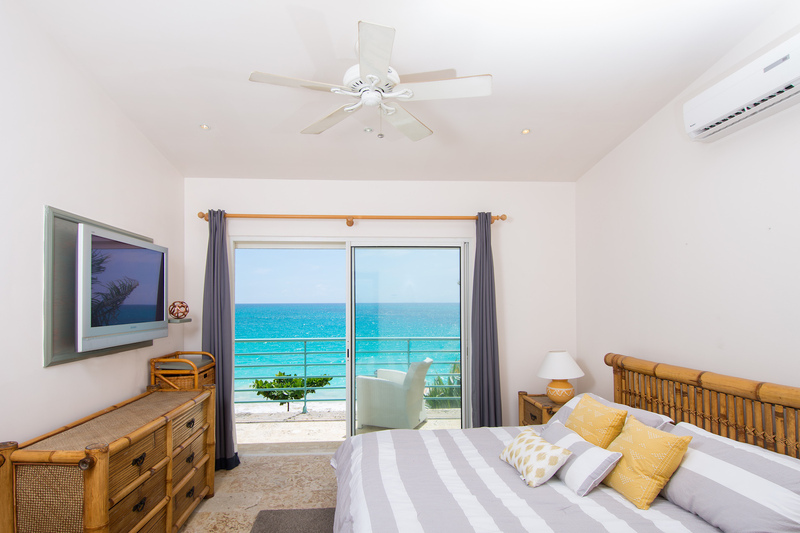 This very large beachfront 3-bedroom, 3.5 bathroom, second floor condo is ideal for couples, families or friends. 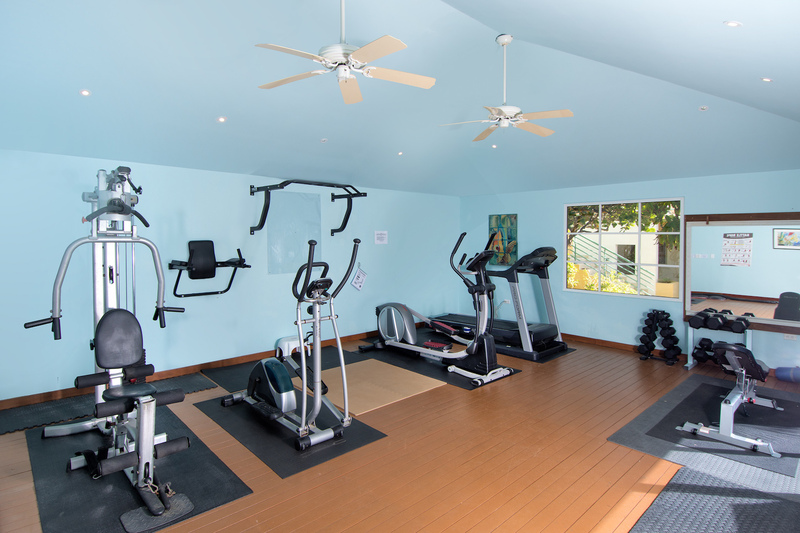 Coco Belle is fully air conditioned and has ceiling fans to keep you comfortable no matter what the temperature. 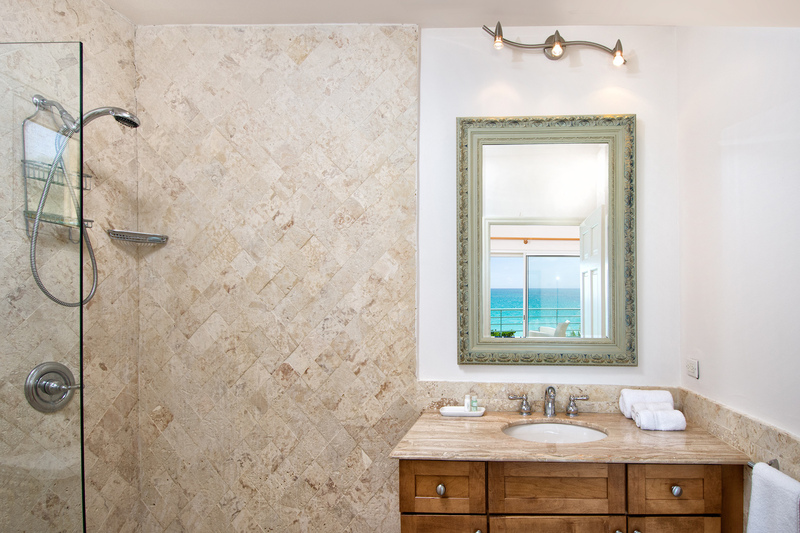 Crushed coral floors are comfortable and simply beautiful. 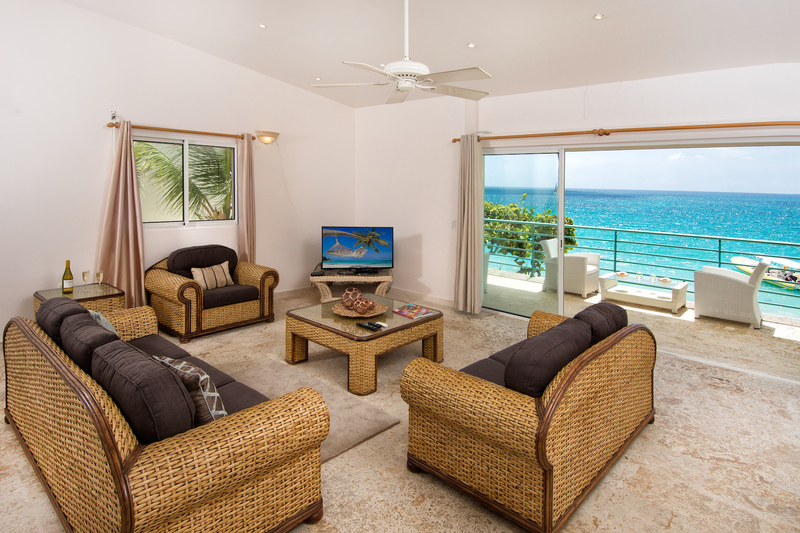 The living area is elegantly furnished and the entertainment area offers a flat screen TV offering Satellite TV (Roku). The interior dining area can accommodate 6-8 persons comfortably. 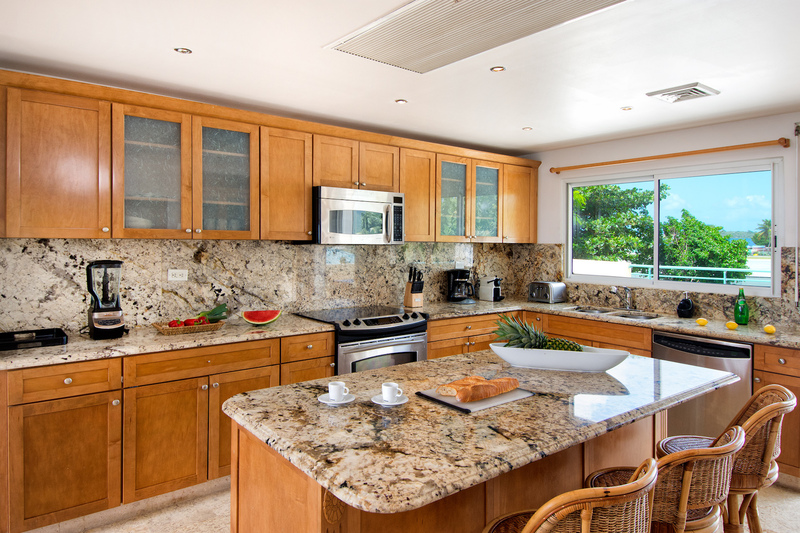 The kitchen is fully equipped with all stainless appliances, beautiful cabinetry and granite counters. Ice maker, beautiful dishes, kitchen cutlery and glassware add to the completeness of the kitchen. 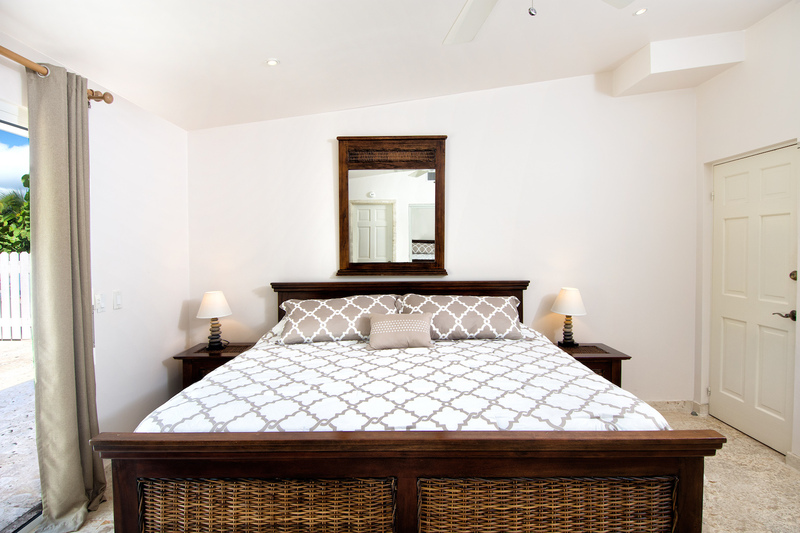 All three bedrooms offer a king size bed, air conditioning and en-suite bathrooms with showers. The washer/dryer is located by the ½ bathroom. One of the best things to do in the immediate neighborhood is to have a seaside lunch at Mary’s Boon or hang out at Karakter Beach Bar. 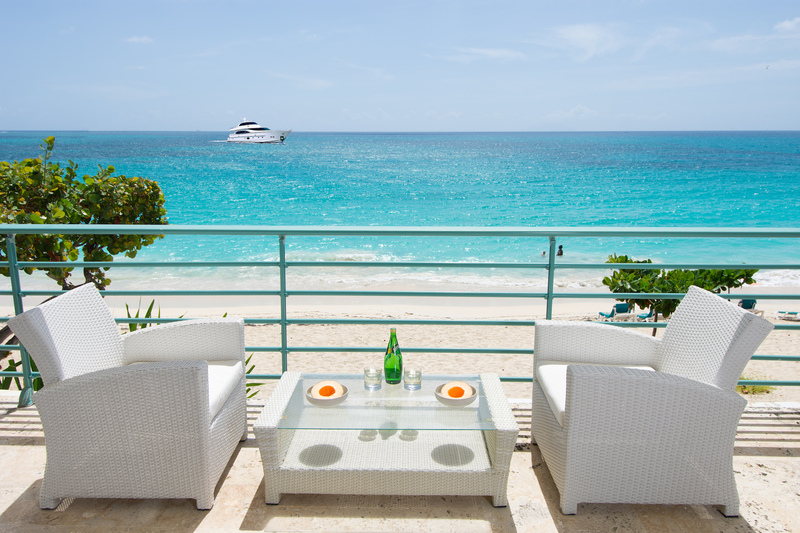 Two of the islands popular restaurant/beach bar locations! You can walk there on the beach; both spots are less than 100 yards away. Sur Mer is located 5 minutes from Princess Juliana International Airport and is conveniently located to other white sand beaches (Maho Beach, Mullet Bay, Cupecoy Beach, Long Bay), watersports, French bakeries, banks, drug stores, grocery stores, gyms, hairdressing salons, ice-cream parlors, massage centers, theatres, restaurants/bars, duty free shopping, casinos and night entertainment. 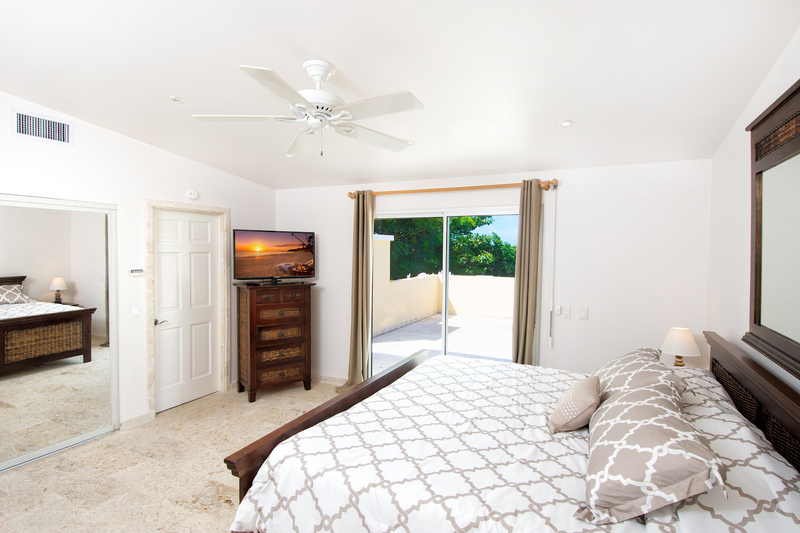 Master Bedroom – The Master Bedroom offers a king-size bed, air conditioning, ceiling fan and flat screen TV offering Satellite TV (Roku). 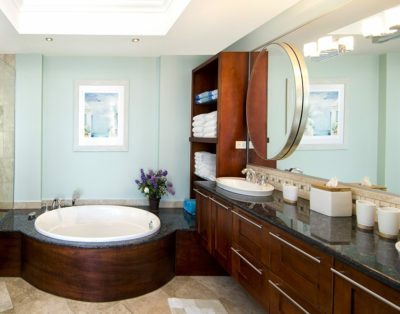 The bedroom has an en-suite bathroom with single bowl sink and shower. 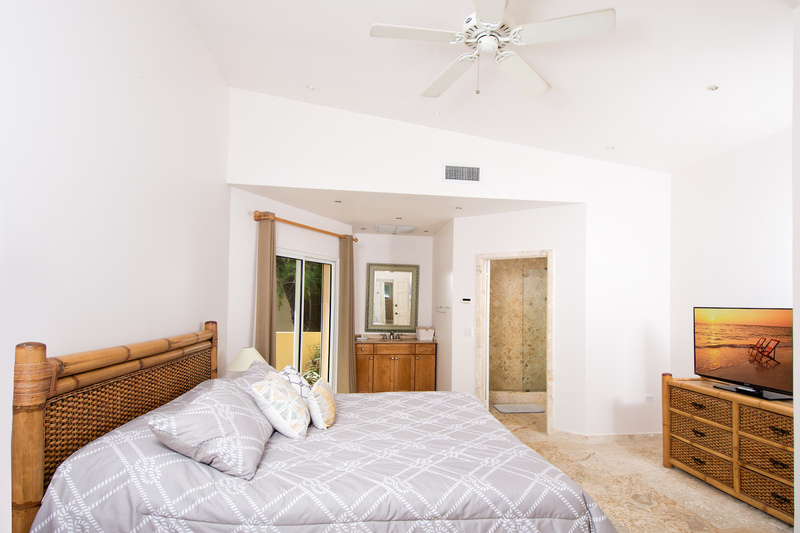 Bedroom 3 – The second bedroom offers a king-size bed, air conditioning & ceiling fan. 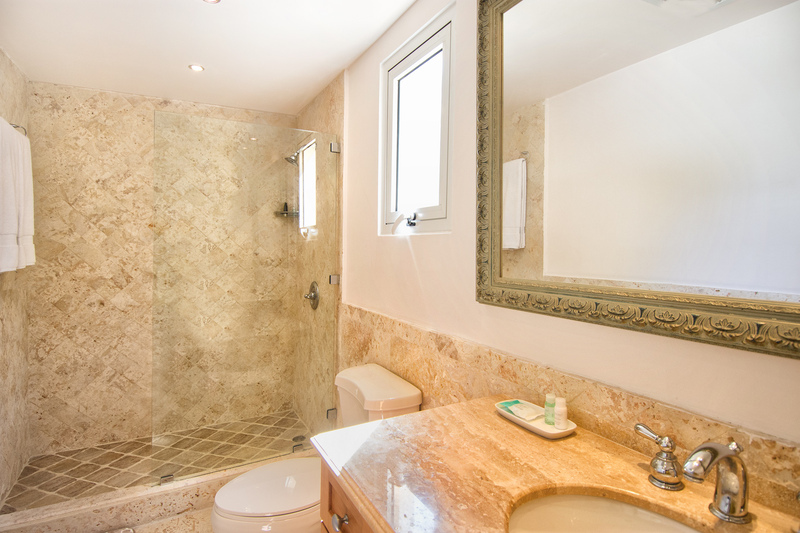 The bedroom has an en-suite bathroom equipped with single bowl sink & shower. 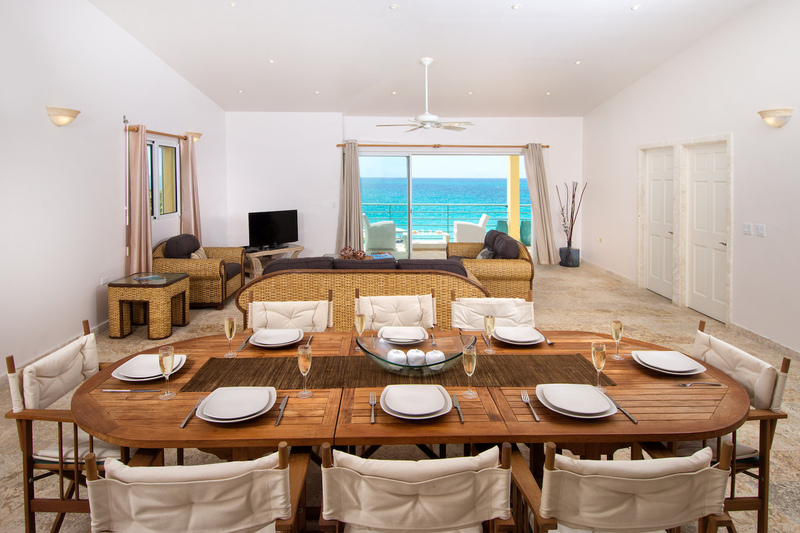 The living & dining area is elegantly furnished and offers expansive views of the ocean. 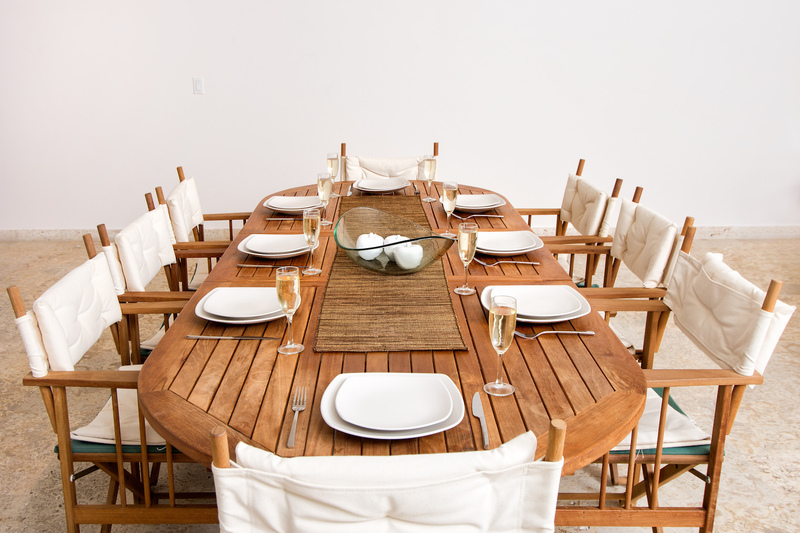 The interior dining area can accommodate 6-8 persons comfortably. The spacious kitchen with an island and barstools features beautiful cabinetry, granite counter tops, stainless steel appliances, full size refrigerator with freezer and ice maker, electric stove, electric oven, microwave, dishwasher, wine cooler, Nespresso machine, coffee maker, toaster, blender, full set of dishes, glasses, cooking utensils, pots/pans, crockery and kitchenware. 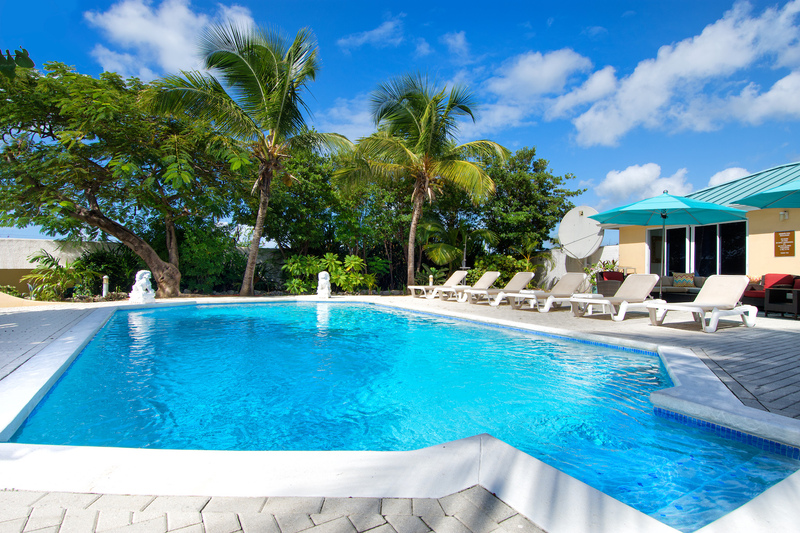 A large common fresh water swimming pool surrounded by a spacious sun deck with lounge chairs and gas BBQ grill. Beachfront property with spectacular direct views of the Caribbean Sea, air-conditioning in living room and all bedrooms, ceiling fans, cell phone for guests to use, high-speed wireless internet connection, Satellite TV (Roku) in living room and master bedroom (all flat screen TVs), laundry area with washer & dryer, iron/ironing board, outdoor common pool, gym, generator, gated community, parking. 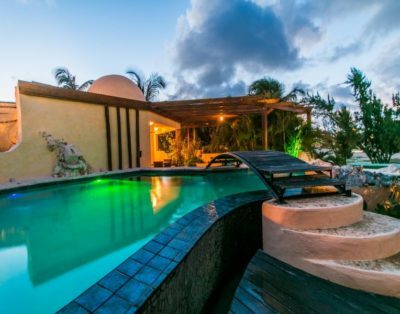 Princess Juliana International Airport – 5 minutes, Philipsburg, the Dutch capital – 25 minutes, Marigot, the French capital – 25 minutes, Nearest Casino – short drive to casinos, Restaurants – short drive to restaurants, Maho area – within 1.5 mile drive.